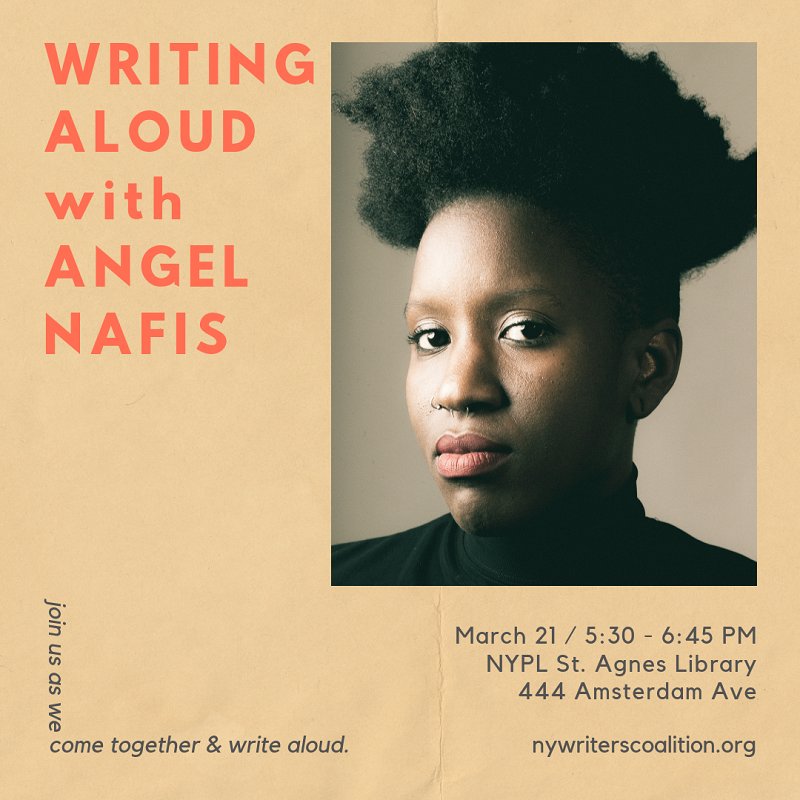 Writing Aloud Returns with Angel Nafis! Receive a writing prompt from our guest writer. Hit the mic!–if you want to. Feel free to just sit back and listen, too! This event is free and open to the public. All are welcome to write and share in this safe space. Click here to share the event on facebook & invite others. Angel Nafis is the author of BlackGirl Mansion (Red Beard Press, 2012). Her work has appeared in The BreakBeat Poets Anthology, Buzzfeed Reader, The Rumpus, Poetry Magazine and more. She represented the NYC at the National Poetry Slam and the Women of the World Poetry Slam. She is the founder, curator, and host of the Greenlight Poetry Salon. 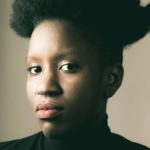 She is a Cave Canem graduate fellow and the recipient of the 2016 Ruth Lily Dorothy Sargent Rosenberg Fellowship and the 2017 NEA Creative Writing Fellowship. Nafis earned her BA in English and Creative Writing from Hunter College and her MFA in Poetry from Warren Wilson College. With poet Morgan Parker she is The Other Black Girl Collective. If you’re unable to make it to this one, then please mark your calendars for Thursday, June 27 for our next Writing Aloud. It will take place at Queens Library at Broadway (40-20 Broadway), from 5:45 – 7:45 PM. This event is FREE, wheelchair accessible and open to the public. All are welcome to write and share in this safe space. It will take place Thursday, March 21 from 5:30 – 6:45 PM at the St. Agnes branch of the New York Public Library (444 Amsterdam Ave).